LONDON (March 9): Oil prices fell on Thursday, extending the biggest falls this year as record US crude inventories kept sentiment weak, pointing to a global glut despite OPEC-led supply cuts. Crude oil stocks in the United States, the world's top oil consumer, surged last week to 528.4 million barrels, an all-time high and up 8.2 million barrels in a week, well above forecasts of a 2 million barrel build. The surge in US inventories came despite an agreement by the Organization of the Petroleum Exporting Countries and other exporters to cut output by almost 1.8 million barrels per day (bpd) in the first half of 2017. "US oil stockpiles have gained around 50 million barrels since the start of the year, raising some doubts over the effectiveness of OPEC cuts," said Hamza Khan, head of commodities strategy at ING Bank in Amsterdam. Brent crude oil was down 50 cents a barrel at US$52.61 by 1435 GMT, after reaching an intraday low of US$51.60, its lowest since Dec 1. On Wednesday, Brent fell US$2.81 a barrel, or 5 percent, in its biggest daily price move this year. US light crude reached an intraday low of US$48.79, down US$1.49, before recovering to trade around US$49.70 a barrel. US crude plummeted 5.4 percent on Wednesday. "The market went into a meltdown yesterday," said Tamas Varga, analyst at London brokerage PVM Oil Associates. "The risk is now tilted to the downside. Lower numbers are not a foregone conclusion yet, but bears are in control." Major oil exporters say they will gradually tighten global supplies as they reduce production. Kuwait's oil minister has said OPEC's compliance with cuts has exceeded targets. Kuwait will host a meeting on March 26 of OPEC and non-OPEC ministers to review compliance with the production cuts. OPEC hopes it can persuade other oil producers to make deeper cuts to try to push up prices that have been below some breakeven costs for more than two years. But they will need to act fast, because low oil prices encourage producers to increase output to balance their budgets. 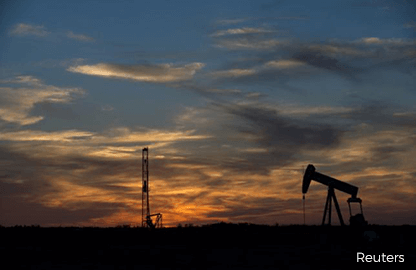 "If things stay unchanged, then this week will be the worst week for oil prices since the OPEC deal (in November)," said Olivier Jakob, managing director of Swiss consultancy Petromatrix. "If a quick rebound cannot be organized by the end of the week, then banks will start to revise lower their oil price forecasts," he said.